The oft leaked and much awaited HTC One is finally here. Once known as one of the world’s biggest mobile phone manufacturers, HTC has seen a decline of late. Even though the HTC One X and One S were well received, they didn’t quite taste success like the Samsung Galaxy S3. But HTC is back with a bang and now packs in some serious firepower along with a couple of new innovative features too! 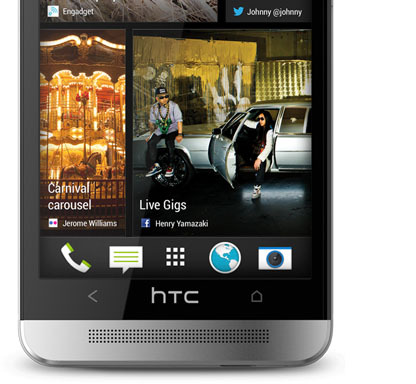 Read on for the HTC One preview with final specs, features and the interesting new camera technology. Them are some mighty fine specs, and benchmarks already suggest that performance is almost double that of the powerful HTC One X. This could very well turn out to be the first phone to hit stores with the new SoC, even though the LG Optimus G Pro was announced earlier. The HTC One comes encased in a premium aluminum and polycarbonate chassis with a new design. It now has 2 front facing speakers and a different 2 capacitive button layout at the bottom. All in all it’s a snazzy looking device that’s both gorgeous and tough. The attention to detail is apparent with the excellent finish. The first thing noticeable is the new reworked HTC Sense UI, which admittedly has a little Windows Phone flair to it. There’s a new homescreen with BlinkFeed which is basically a Flipboard like service. Most of the other features like a new sync manager, keyboard and TV manager are just apps. For new users there’s also a getting started app and the whole UI has been designed to be more minimalistic and less resource intensive, not that the HTC One lacks it though. But the main attraction here is undoubtedly the “UltraPixel” camera. For spec fans it might be a disappointment to know that the sensor is “only” 4 megapixels, but in reality, the camera is more than capable. UltraPixel basically is a large sensor that is capable of taking in more than 300% of light than any modern camera sensors. The megapixels captured on the HTC One are in fact bigger than those captured by any other smartphone camera. In essence, the photo quality is absolutely top notch, only that the maximum resolution will be 2688 x 1520 which should be enough for pretty much anyone. Bottom line, size wise you’re going to get lower resolution images but those images will be of great quality. You’re not going to need a full 8 MP resolution picture unless you’re printing a billboard anyway. So instead of cramming in smaller pixels that capture less light, HTC has gone the way of putting in larger pixels which capture more light, so the usual convention of more megapixels is better doesn’t really apply other than the actual image size. All of this new camera tech is named “Zoe” and it includes a couple more features too. The HTC One is capable of capturing full 1080P video while taking photos or vice versa, which lets you save that perfect moment as well as use the combined footage to create a montage. Zoe Share allows users to also quickly share the created media with a unique link and is great for social animals. We’re really interested to see how the HTC One camera will stack up against some of the better smartphone cameras like the Nokia 808 PureView, Nokia Lumia 920 or iPhone 5. It will be difficult to explain to the average consumer how UltraPixels work, since a lot go by just numbers. Nevertheless, HTC looks like it’s got a sureshot winner on its hands and come April it should launch in most countries. No word yet on price though. 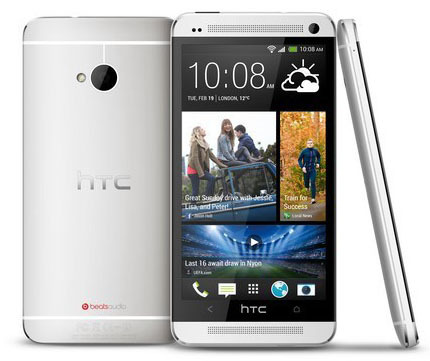 Do drop us a line with what you think of the HTC One preview, comments and queries are welcome! HTC One Max Preview – HTC’s Phablet is Here! Can we change the Blink feed into standard HTC homescreen? . Anyways , yesterday was a fantastic day for HTC. So many new things. And , what about M4? Did they mention anything about that? HTC M4 and G2 will be revealed at MWC 2013. Yes the BlinkFeed can be changed. So , M4 and G2 are again some code names ? Anyways , looking at this phone. Htc Zoe….that livestream gallery is absolutely awesome. Harry potter style magazine. Htc boom…lol. Talking about HTC sense 5 , with Andriod 4.1 .Don’t you think there shud be 4.2? . Last thing , Sense 5 will be updatted to all HTC phones? Especially with One series? Yes they’re codenames. HTC should have preinstalled Android 4.2, yes. No word on the update for all HTC Phones yet, but I think maybe the newer phones will get it. Certainly its a monster spec. But, i haven’t heard about the term “ultrapixel” anywhere before. what is it..? Also, it is said to have only a 4 MP (ultrapixel) rear camera. So what difference does it make? I’ve explained about it in the features section, what part do you want me to clarify? And you haven’t heard of it before because it’s a new technology. oops..I should have missed it. And yeah, definitely this is going to be a tough competition for the current smartphone cameras. Way to go HTC!! Well , to clarify that doubt , you could post a whole new blog for it. I’ve seen some information from the Htc official site . And , sure I gained some knowledge …more than ever. Do post the “Ultrapixel” blog ,it’ll be helpful for others.Just like the 4G LTE you’ve explained. This flagship device from HTC has some killer specs… Lets see if it can beat the leaders in the market.